The Thunderbolts 03 team has five commits with several more expected in September. There are a lot of good teams moving up as first-year 16U clubs and one that is loaded with talent is Lowell Barron’s Birmingham Bolts 03 squad based out of Irondale, Alabama, which has five strong commits: one to the SEC, two to the ACC and a pair to the Sun Belt with several more coming this fall. The talent is so strong that three players made the 2021 Extra Elite 100 and 13 were ranked in the top 350. 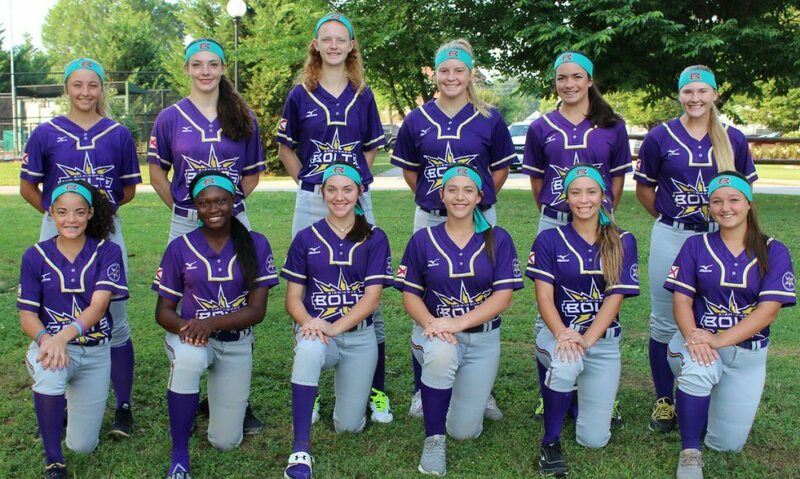 The team finished 2nd at the PGF 14U Platinum Nationals in 2017 and 3rd at the Atlanta Legacy Showcase before going 36-14-2 in 2018, so this will be a telling year for the squad as it competes in the older age division. Here’s a look at the returning players along with a trio of new standouts… comments are by Coach Barron. Kennedy committed to Duke University in December, 2017. The 5-foot-10 right-hander helps lead the Bolt’s team both at the plate and on the mound. Kennedy is a consistent power hitter in the Bolt’s lineup of big bats. In addition to hurling a 61-63 mph fastball in the circle, Kennedy also plays an excellent corner. A three-year high school varsity starter for perennially top ranked Class 3A Pisgah High School (AL), Kennedy is a clutch power hitter who can hit even bad pitches out of the park. She was selected by the Alabama Sports Writers Association as All-State and All-Region player for the third consecutive year (7th, 8th and 9th grade) as she helped her team play in back to back Class 3A State Championship title games. In 2017, as an 8th grader, Kennedy was named Class 3A Most Outstanding Player as she led her high school team to its 9th overall state softball championship. Leading her high school varsity team in both RBIs and batting average during her 7th, 8th and 9th seasons, Kennedy has collected 20 plus home runs for the Pisgah Lady Eagles. Additionally, Kennedy was selected by USSSA Elite Select as a 1st Team All American. The multi-sport athlete also plays basketball and is a member of Class 3A, currently #1 ranked Pisgah High School varsity basketball team and as a freshman was a member of the Class 3A State Championship team in March, 2018. 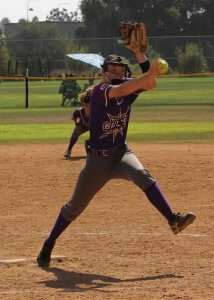 In 2018, Lauren, or “Lulu,” was a starting freshman for highly ranked 5A Marianna High School (Florida) softball team. Batting in the leadoff spot, Lu had a .533 batting average, a .661 on base percentage along with 65 stolen bases. The Marianna Female Athlete of the Year, Lauren is a prototypical leadoff who excels in that position due to her abundant speed. Lulu is a high energy player who has a very high softball IQ and reads defenses very well, which allows her to use her short game to her advantage. Defensively, Lulu has excellent range in the outfield with a strong arm. She is a talented outfielder who thrives on taking hits away. During the 2018 summer season, LuLu led the Bolts at PGF Nationals with a .545 batting average. The speedy slapper (sub 2.6 home-to-first) can also hit for power and has the ability to hit the ball out of the park. LuLu was also recognized as a USSSA Elite Select Second Team All American.